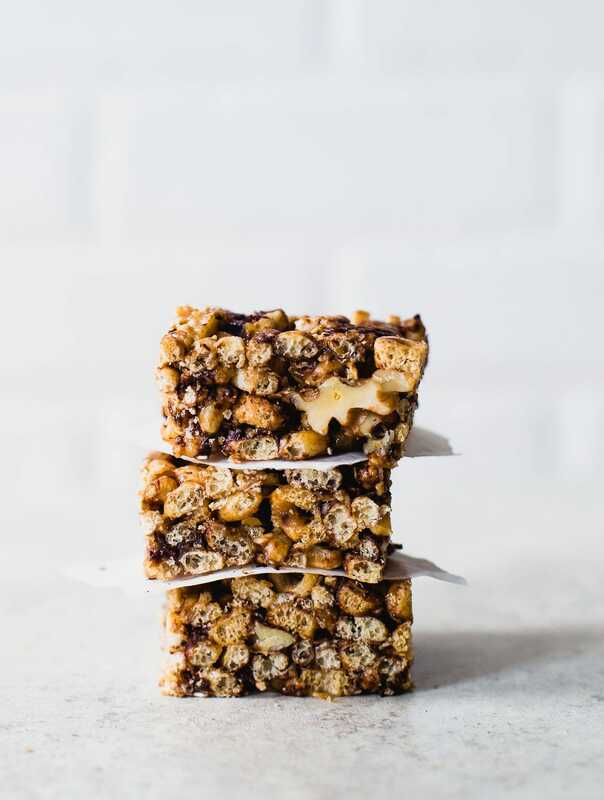 This Walnut Maple Cereal Bars recipe is sponsored by California Walnuts, a year long partner of Heartbeet Kitchen. Cereal can do no wrong in my books. Breakfast, snack, lunch, dinner – it works. For the lazy days. The ‘too hot to cook” days. And “there’s nothing in the house to eat” days. I used to love these milk and cereal bars for on-the-go days. That was in my college days, when I didn’t know or care much about ingredients. I just needed fuel. 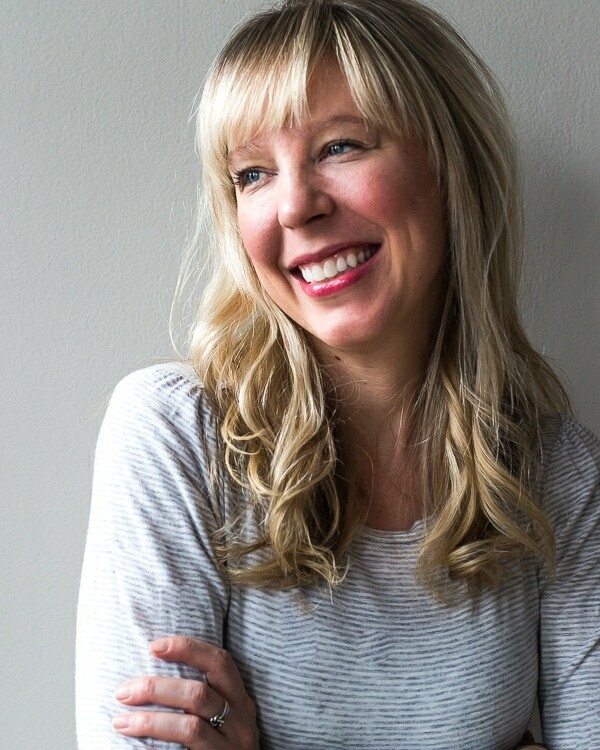 Today, nourishing ingredients are at the top of my food priorities, and it’s no secret that the processed bars you find in the grocery store are lacking in the nutrition department. 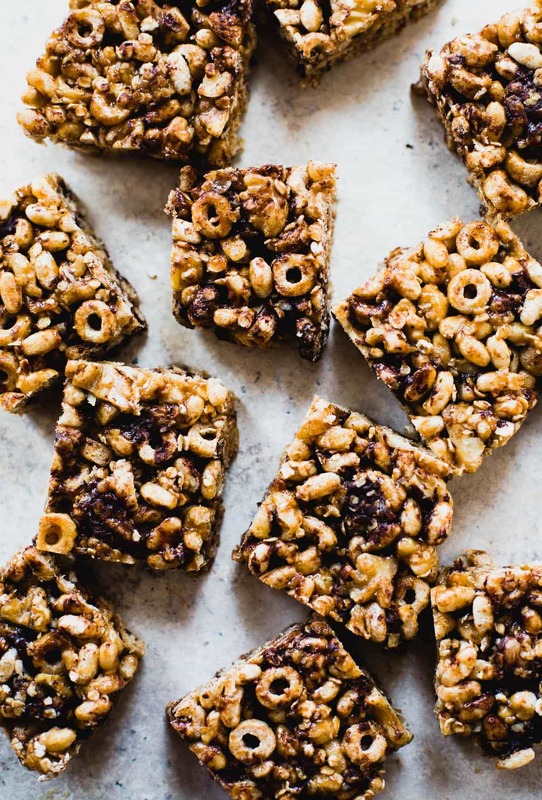 So we’re making our own cereal bars, that are no-bake, wholesome, and easy to pack. They’re the kind of bars that you can take on a road trip, hike, cross country flight, or right at home. They hold together well (a key component in a travel friendly snack), and are just the right amount of sweet. Not quite dessert, but not boring health bar either. They’re #teamgoodfat x 2– walnuts and walnut butter, supplying a rich source of plant-based omega-3 ALA (2.5 grams/ounce) and a tasty crunch too. And because walnuts and dark chocolate are one of the best duos, I added a few chocolate chips too that melt from the warmth of the liquid coating. The bars are naturally sweetened with maple syrup, and brown rice syrup binds them together, also keeping them soft and chewy. 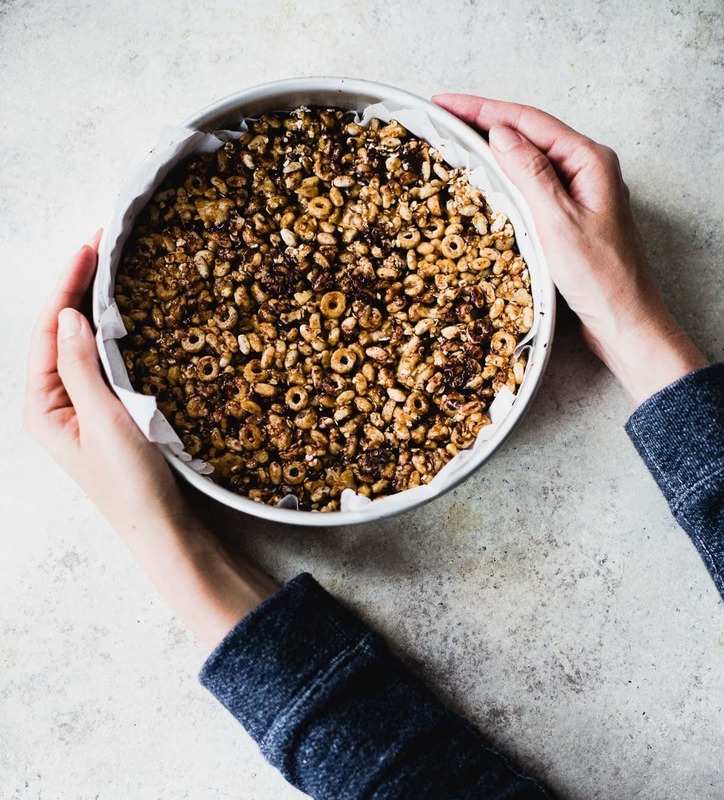 For the cereals, you can use any kind of rice crisps and oat cereal, just make sure they are plain, not the sweetened variety. I prefer this brand. Quick oats are included as well, for a little extra staying power. 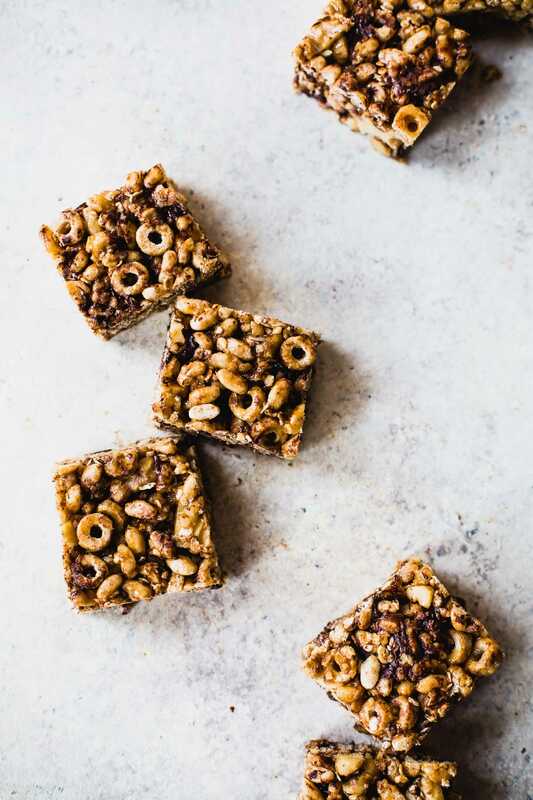 If you make these maple cereal bars, tag me on instagram @heartbeetkitchen, or using the hashtag #heartbeetkitchen. I’d love to see your creations! 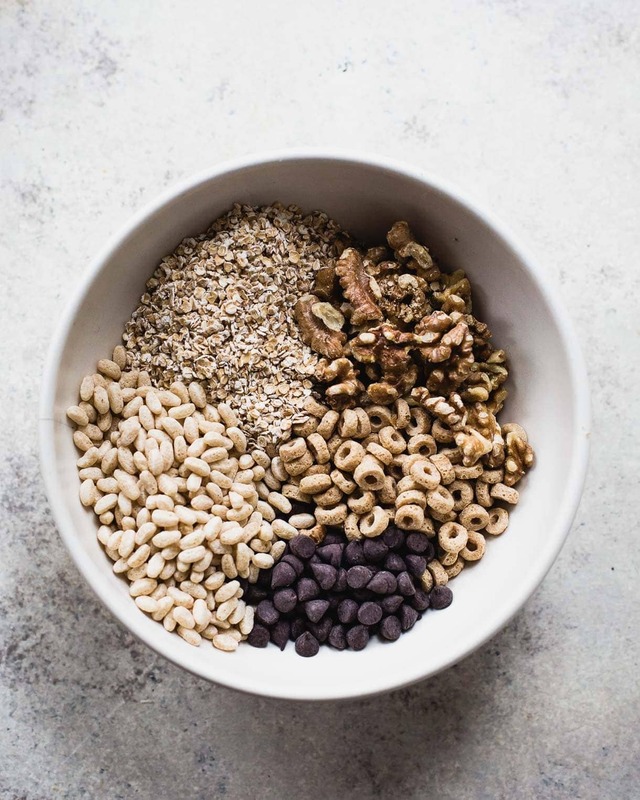 Combine walnuts, brown rice crisps, oat cereal, quick oats, and chocolate chips in a bowl. 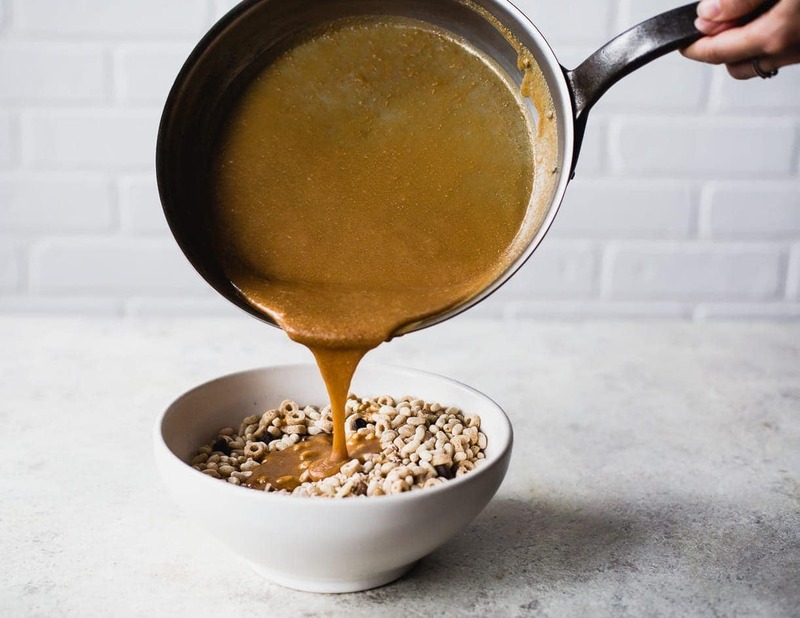 Over medium heat, bring walnut butter, maple syrup, brown rice, and salt to a quick simmer. Cook for 4 minutes, stirring constantly. Remove from heat and pour over dry ingredients. Stir quickly, coating all ingredients. Pour into an 8x8 inch pan, circle or square, and use the back of a measuring cup to firmly press down and spread out evenly. You want the bars to be tightly packed. Let sit for 1 1/2 hours before cutting. Store in a sealed container, for up to five days. This post contains Amazon affiliate links, that I may make a small commission from should you decide to purchase. Good fats = happy fats = happy me. These look awesome. Thx for the idea! amen! also, walnut butter is SO.DARN.GOOD.